Looking to extend your stay in Raymond? Camping is provided at Perrett Park. The Park is located on the south end of the Golf Course and features lush parkland, fishing, playground, walking trails, washrooms and shower facilities. There are 7 serviced sites (power and water) and 13 non-serviced sites. 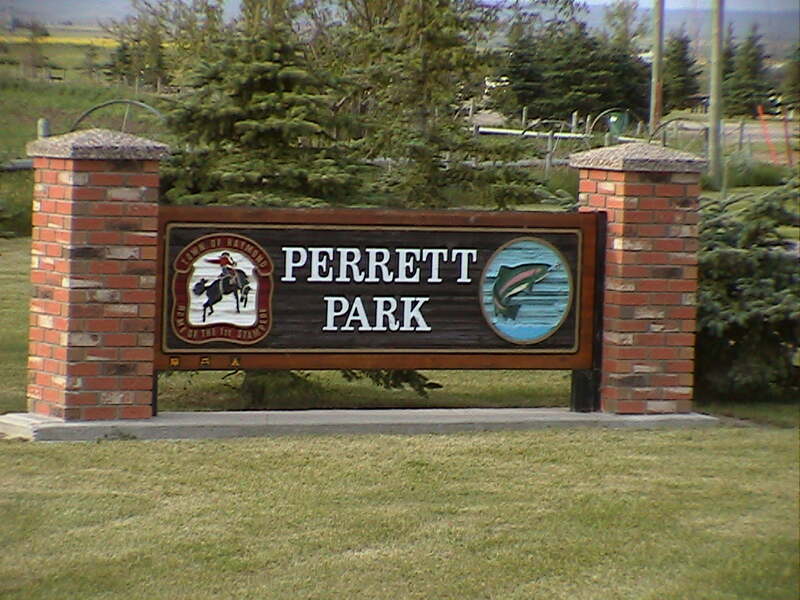 Perrett Park is a "first come, first serve" facility and no reservations are accepted. The campground opens May long weekend. It generally closes in October, though the closing date may be extended or reduced based on weather. Located on the west entrance of Town, take a break from driving at our highway rest stop. Shelter, water and a sewage disposal station are located here for your convenience.